A mid-length Palgrave Pivot book being released here. Digital Cities stakes claim to an interdisciplinary terrain where the humanities and social sciences combine with digital methods. Part I: Layers of the Interdisciplinary City converts a century of urban thinking into concise insights destined for digital application. Part II: Disciplinary/Digital Debates and the Urban Phenomenon delves into the bumpy history and uneven present landscape of interdisciplinary collaboration as they relate to digital urban projects. 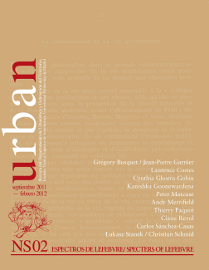 Part III: Toward a Theory of Digital Cities harnesses Henri Lefebvre’s capacious urban thinking and articulation of urban ‘levels’ to showcase where ‘deep maps’ and ‘thick mapping’ might take us. 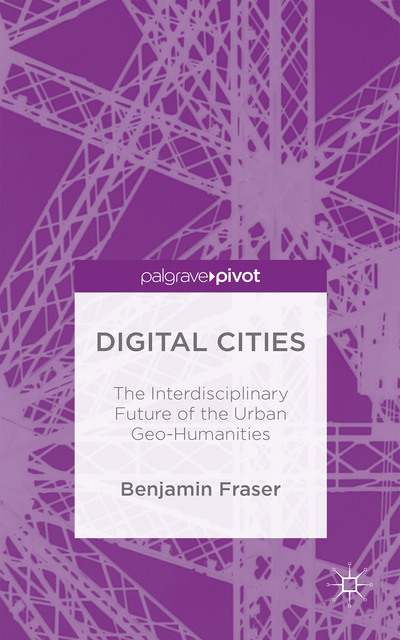 Benjamin Fraser argues that while disciplinary frictions still condition the potential of digital projects, the nature of the urban phenomenon pushes us toward an interdisciplinary and digital future where the primacy of cities is assured. 1. What is the City? 4. What is Urban Totality? 5. What are Digital Cities? A robot possessing the urban knowledge of French philosopher and spatial theorist Henri Lefebvre (1901-1991) explores the multidimensional nature of the city. (part 3) This episode draws from Lefebvre’s works Writings on Cities [The Right to the City], The Production of Space, and The Urban Revolution.